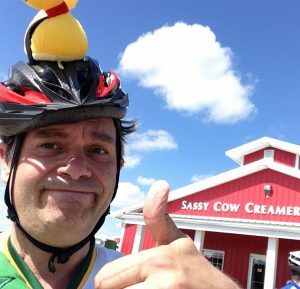 In five days time, I get on my bike, strap a duck to my head, and tackle Bike the Barns, with a few hundred other folks, raising money for the Fair Share Coalition! There is still time to donate to Insane Charity Bike Ride 2018, though! 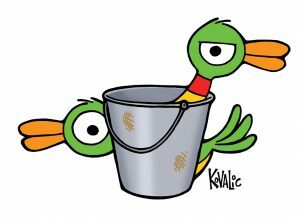 $15,000 – “Ducks in a Bucket,” a brand-new print-and-play game by James Ernest, founder of Cheapass Games, multi-award-winning designer, and great pal of mine! Oh, yes. 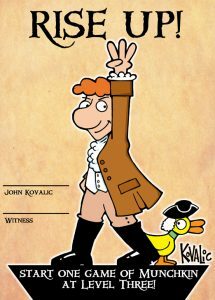 And I get to draw ducks for it. Ducks in a Bucket – a new game by James Ernest! That is a lot of goodness for a great cause! There are other great levels, as well. At $250, you can get signed, original Munchkin card art. This is the only way you can get hand-drawn published Munchkin art by me (and I only pick out cards I really love, to send). Plus, you get all the above swag, and more. This year’s Munchkin Charity Postcard!Five days left to get one. Do not throw away your shot! The art needed for the swag is done, and ready to go to press. This is the first time that has ever happened. This year, for the first time, #InsaneCharityBikeRide rewards will get to backers before Christmas! 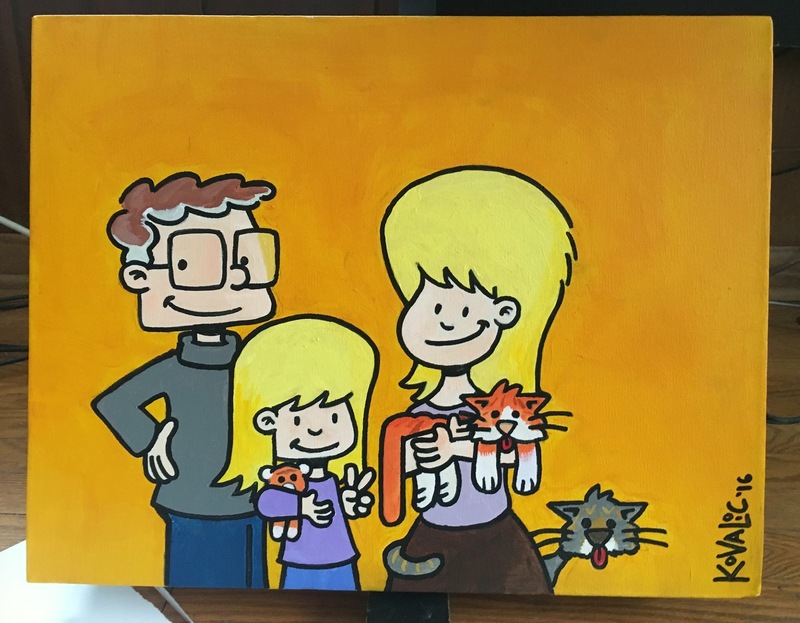 So if you ever wanted to give the gift of Munchkin art, now’s your chance! We also just might break last year’s record. Two high-level rewards remain, and if those go, all bets are off the table. This is all fun and whatnot (except for me. I have to cycle a ridiculous distance with waterfowl on my helmet). But most important of all, the ride supports local farmers, and helps get nutritious, delicious farm-fresh vegetables to low income area families. Given the terrible recent flooding in the region, now more than ever the money is going to a great cause. We’re $2,500 away from setting a new one-year fundraising record for the ride. If we hit that, that also means we’re raised more than $75,000, for charity, over the six #InsaneCharityBikeRides we’ve been doing this. I couldn’t imagine a greater group of folks to be associated with, and I’m proud of all we’ve accomplished, in this silly duck-wearing, insane biking madness. THANK YOU, from the bottom of my duck-hating heart. PS: YES, $20,000 remains an outside chance. Yes, if we hit that, I will wear two ducks. And be grateful for the opportunity. DONATE NOW, and make that a plausible likelihood!